With my colleague Mathew Thomson, I am conducting a new Wellcome Trust funded Senior Investigator Award project to map and explore the Cultural History of the NHS. Since 2015, we and our team have been asking what the NHS means to people in Britain, and how it came to have such emotional and political resonance. A significant portion of this research is done working closely with the public, and their input is a key driver of our research agenda. The fruits of this collaboration will be captured in a 'People's Encyclopaedia of the NHS' and a 'Virtual Museum of the NHS' -- reflecting and restoring to history our collective experiences and memories of a British institution. In the next stage of my work on migration, I am continuing to explore intersections between migration and the NHS, and will -- I hope -- gradually populate what is a largely political history with individual stories, cultural portrayals, and social meanings. I will also add parallel studies of US responses to post war migrants and immigration. Here, as well as constructing an account of what happened to these immigrants and to the doctors and biomedical researchers engaged in their study and care, I am looking for answers to broader questions. In particular, I’m assessing the impact of two very different medical systems – one national and public, the other highly fragmented and private -- on responses to newcomers, their medical needs, and their vital labour in healthcare provision. HI176 Mind Body and Society: The History of Medicine and Health (team-taught first-year option module). Professor, Department of History, University of Warwick (2016- ). Associate Professor, Department of History, University of Warwick (2008-16). Wellcome Lecturer/Senior Lecturer in the History of Medicine, Cardiff University (2004-8). Assistant Professor, History of Medicine, University of Houston (2001-3). Research Associate, Centre for the History of Science, Technology and Medicine, University of Manchester (2000-1). Wellcome Postdoctoral Fellow, Centre for the History of Science, Technology and Medicine, University of Manchester (1997-2000). Wellcome Fellow, Wellcome Institute for the History of Medicine, London (1996-7). PhD, Massachusetts Institute of Technology, 1997. BA, Columbia College, Columbia University, 1991. Contagious Communities: Medicine, Migration, and the NHS in Post War Britain (Oxford: Oxford University Press, 2015). Alternative Medicine? A History (Oxford: Oxford University Press, 2007, republished in paperback 2010). Translated into Chinese, Soochow University Press, forthcoming. Medicine, Madness and Social History: Essays in Honour of Roy Porter, edited with John Pickstone (London: Palgrave, 2007). 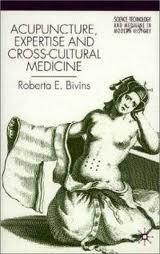 Acupuncture, Expertise, and Cross-Cultural Medicine (London: Palgrave, 2000). 'Weighing on us all? Quantification and cultural responses to obesity in NHS Britain', in History of Science, forthcoming. With Stephanie Tierney and Kate Seers, 'Compassion in Nursing: Solution or Sterotype? ', in Nursing Inquiry, Online First, (Dec 2018), DOI: 10.1111/nin.12271. With Julie A Schmittdiel, Wendy T Dyer and Cassondra J Marshall, 'Using Neighborhood-Level Census Data to Predict Diabetes Progression in Patients with Laboratory-Defined Prediabetes', in The Permanente Journal, (Oct 2018): doi.org/10.7812/TPP/18-096. With Kate Seers and Stephanie Tierney, 'Compassionate Care: Not easy, not free, not only nurses', in BMJ Quality & Safety, Online First, (Sep 2017): doi: 10.1136/bmjqs-2017-007005. 'Picturing Race in the British National Health Service, 1948-1988', Twentieth Century British History, Vol 28, 1, (March 2017): doi: 10.1093/tcbh/hww059. 'Re-writing the ‘English disease’: Migration, Ethnicity and ‘Tropical Rickets’, in Mark Jackson (ed. ), The Routledge History of Disease (London: Routledge, 2016). with Hilary Marland, ‘Weighting for Health: Management, Measurement and Self-Surveillance in the Modern Household’, in special issue of Social History of Medicine 'Medicine in the Household', Vol 29, 4 (Nov 2016) (eds), Roberta Bivins and Hilary Marland. ‘Limits and Liberties: CAM, regulation and the medical consumer in historical perspective’, in Nicola K. Gale, and Jean V. McHale (eds), Routledge Handbook of Complementary and Alternative Medicine (London: Routledge, 2015). 'Imagining Acupuncture: Images and the Early Westernisation of Asian Medical Expertise', Asian Medicine: Tradition and Modernity, 7.2 (Jan 2014), 298-318. post-print PDF, courtesy Brill: 'Imagining Acupuncture'. 'Ideology and Disease Identity: The Politics of Rickets, 1929-1982', Medical Humanities, 39.2 (Dec 2013). 'Immigration, ethnicity and ‘public’ health policy in postcolonial Britain', in Catherine Cox and Hilary Marland, eds, Migration, Health and Illness in the Modern World (London: Palgrave, 2013) 126-150. 'Coming "Home" to (post)Colonial Medicine: Tropical Bodies in Post-War Britain', Social History of Medicine 2012; doi: 10.1093/shm/hks058. 'Histories of Heterodoxy', in Mark Jackson (ed. ), The Oxford Handbook of the History of Medicine (Oxford: Oxford University Press, 2011), 576-597. ‘"The people have no more love left for the Commonwealth”: Media, Migration and Identity in the 1961-2 British Smallpox Outbreak’, Immigrants and Minorities, 25 (November 2008) 3: 263-289. ‘Hybrid Vigour? Genes, Genomics, and History’, Genomics, Society and Policy 14 (2008) 1: 12-22. '"The English Disease" or "Asian Rickets": Medical Responses to Post-Colonial Immigration', Bulletin of the History of Medicine, 81.3 (Autumn, 2007), 533-568. ‘Images and the Westward Transmission of Asian Medical Expertise’, in Xingxiang Zhongyi [A History of Chinese Medical Illustration] (Renmin Weisheng, 2007). 'Acupuncture and innovation: ‘New Age’ medicine in the NHS', in Jennifer Stanton (ed. ), Innovations in Health and Medicine (Abingdon: Routledge, 2002) , 84-10.
with Helen Valier, 'Organization, ethnicity and the British National Health Service', in Jennifer Stanton (ed. ), Innovations in Health and Medicine (Abingdon: Routledge, 2002), 37-64. Practices of care, cure, and health promotion in the 20th century household. I will be happy to supervise dissertations in any of these areas. Dr Rebecca Williams, The Khanna Study: Population and Development in India, 1953-1969 [AHRC-funded]. Dr Martin Moore, A Question of Control? : Managing Professionals and Populations in Type-II Diabetes, 1948-1992 [ESRC-funded]. Dr Jane Hand, Visualising Food as Modern Medicine: Gender, the Body, and Health Education in England, c. 1940-1990. [Wellcome funded]. Fabiola Creed, 'Aesthetics, Addictions and Health Advice: Understanding ‘Tanorexia’ in Contemporary Britain, 1978-2016' [Wellcome funded]. 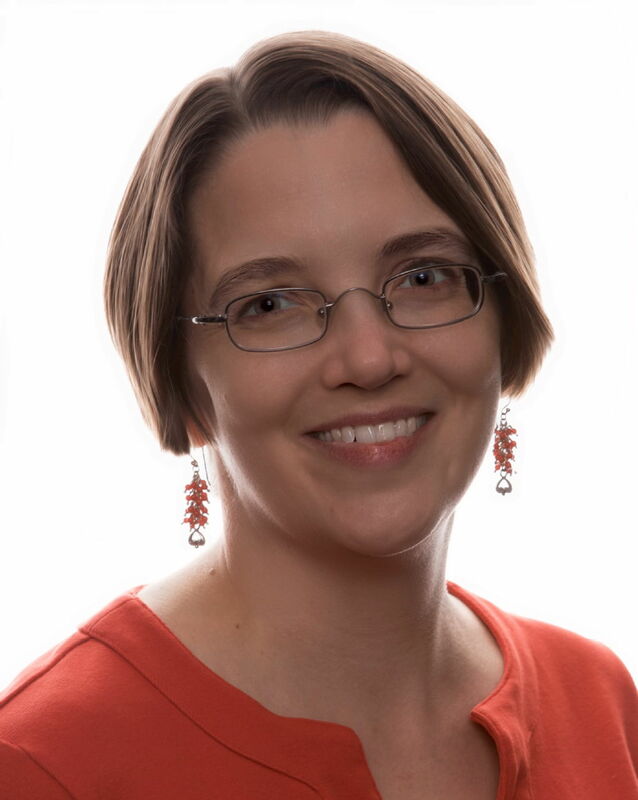 Dr Mari Nicholson-Preuss, Down and Out in Old J.D. : Urban Public Hospitals, Institutional Stigma and Medical Indigence in the Twentieth Century [UH Funded]. I have also supervised MA topics including: Family Planning in India; 'Lands of Opportunity': Colonial Networks and Diabetes Research; Yaws, Hygienic Citizenship and International Health; Missionary Medicine and East African Madness c. 1880-1920; Aesthetics, Prosthetics and the Breast; Race, Identity & Human Genome Project; Popular Understandings of Genetics; and Cultures of Birth in Meiji & Modern Japan. HI269 Medicine, Identity and Technology in Modern History (second-year option module). HI31L Medicine in America: Comparative Perspectives (final-year Advanced Option). Director, Centre for the History of Medicine (2012-2015). MA in the History of Medicine Course Director (2012-2015). Research Governance and Ethics Committee (2014- 2018). External Examiner, MA in History at University of Exeter (2014-17). Convenor for the IDEA Collaboration (2009- ).